Starbucks bathrooms are now open to anyone who wants to use them, whether they're a paying customer or not. 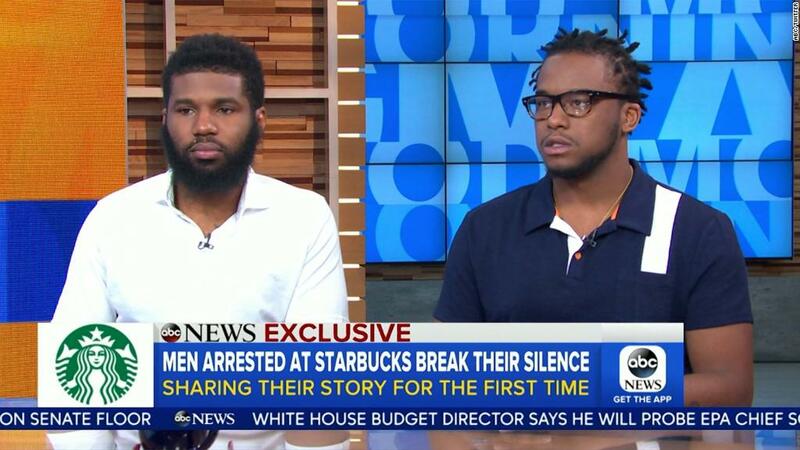 Chairman Howard Schultz announced the new policy on Thursday following the uproar over the way two black men were treated at a Starbucks (SBUX) in Philadelphia last month. The men asked to use the bathroom, but an employee told them it was only for paying customers. When they then sat in the store without ordering anything, the manager called police, and the men were arrested for trespassing. No charges were filed. Starbucks has since apologized to the men and announced plans for extra racial bias training for its employees. "We don't want to become a public bathroom, but we're going to make the right decision 100% of the time and give people the key, because we don't want anyone at Starbucks to feel as if we are not giving access to you to the bathroom because you are less than. We want you to be more than," Schultz said during a talk at the Atlantic Council in Washington. Schultz said the company had a "loose" policy of only allowing paying customers to use the bathroom, with the decision ultimately left to the store manager. But he said the old policy and the decision by the Philadelphia store manager last month were "absolutely wrong in every way." "It's the company that's responsible," he added. In a statement to CNNMoney, a Starbucks spokesperson said the new policies are still under review, but the company seeks to "ensure all customers coming in feel welcome." Store employees have been advised that "if someone needs to use the restroom, please let them, but if the safety of that customer, other customers or partners is in jeopardy, use your 911 quick reference guide for guidance on any action to be taken," the spokesperson said. Starbucks has said it will close its 8,000 company-owned stores in the United States on the afternoon of May 29 to educate employees about racial bias. The training for about 175,000 workers "will be the largest kind of training of its kind on perhaps one of the most systemic subjects and issues facing our country," Schultz said.